Not clear. 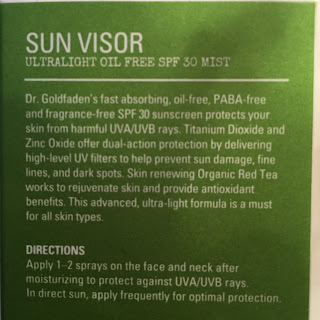 It says UVA/UVB protection but does not state ‘Broad Spectrum’ anywhere – see the additional info column at the bottom, because there is a lot of it! Potential to block pores based on the above? No, it’s light and shouldn’t cause huge issues for people with acnaic issues. 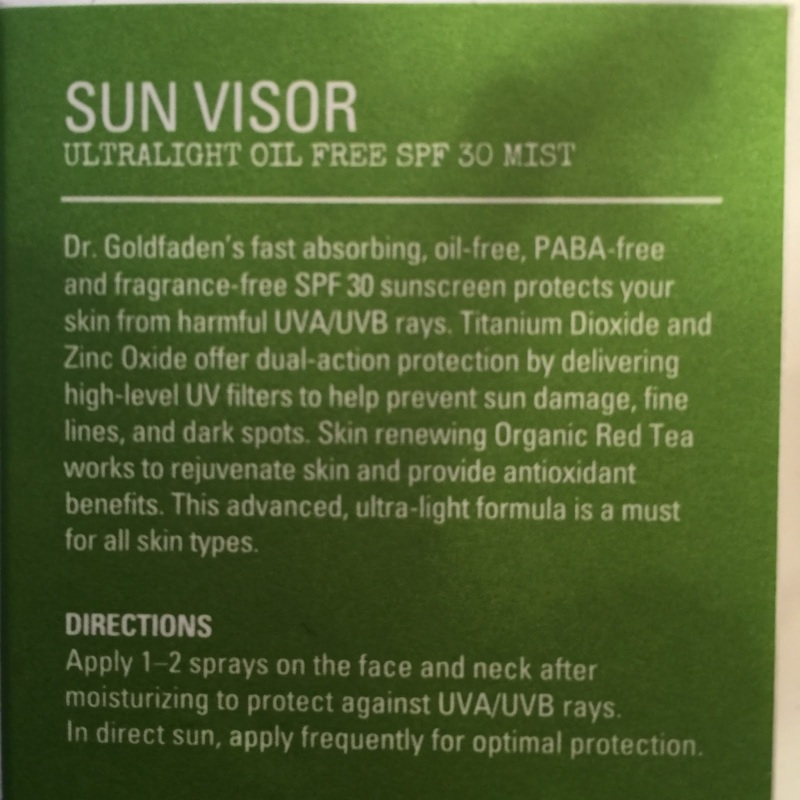 Yes, but this is usually mentioned when discussing things to spray over makeup – see additional info box below. Not personally, but as in previous posts do let me know if you’ve used it and experienced the opposite. Additional info? – Yes. LOTS. OK. I almost don’t know where to begin with this one. I 100% went into this review expecting to be able to say to all of you that want something to spray over makeup that this was for you. 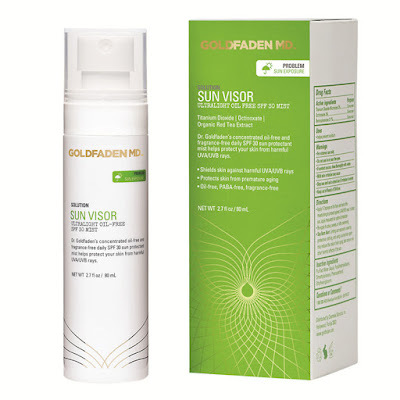 I am asked about this product almost daily – mainly by women who want to spray something on top of their makeup so that they don’t have to reapply ‘traditional’ SPF by removing their makeup mid-afternoon. I’ve met the team behind Goldfaden, they’re lovely people. So I’m taking emotion out of it and presenting you with the facts, so you can make your own mind up. 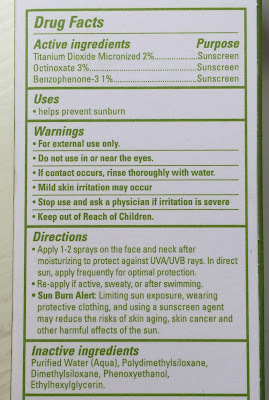 The packaging description says it contains zinc oxide, but zinc oxide is not listed in the ingredients list. 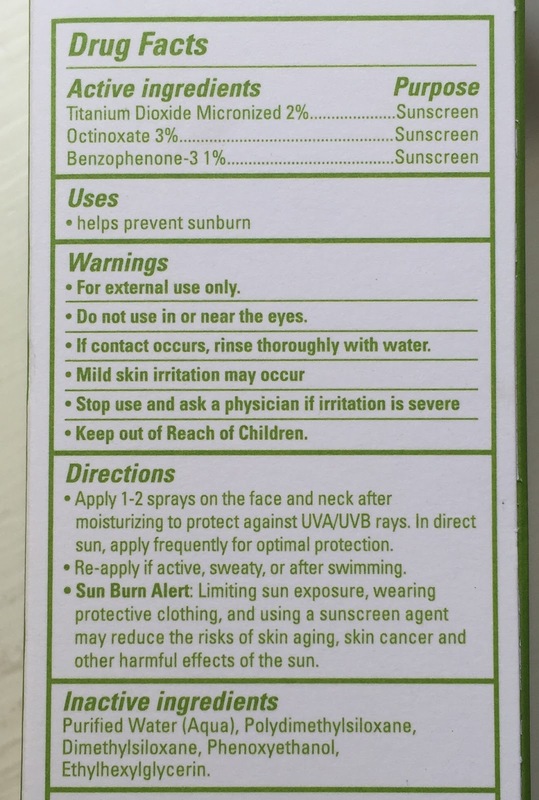 So if it does contain zinc oxide, the ingredients list is misleading, aka unlawful, and if it doesn’t contain zinc oxide, then they are at best, misleading their customer. but it contains two silicones – polydimethylsiloxane and dimethylsiloxane. These ingredients are chemical silicones, any which way you dress them up. Even the Net-A-Porter website repeats the non-silicone claim. N.B. – Net-A-Porter updated their website as of 10.08.15 to remove the ‘silicone-free’ claim. 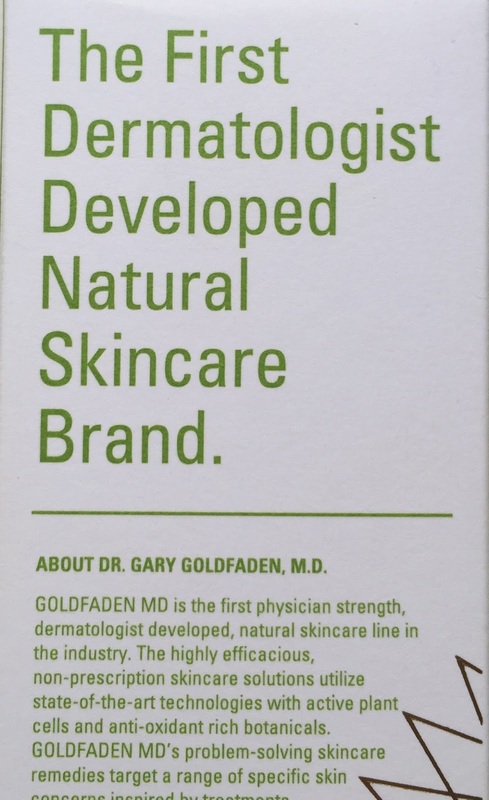 Make absolutely no mistake, the only ‘natural’ ingredient in this product is water. End of. 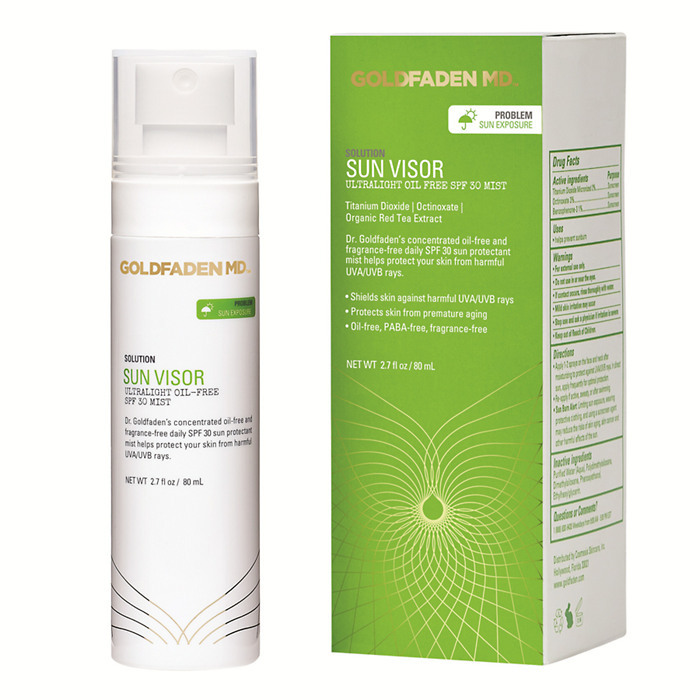 Not only that, the titanium dioxide is nano-encapsulated, something which the California senate is so concerned about that Goldfaden MD have to have the proposition 65 warning on their website. The list includes ‘airborne titanium dioxide’ in ‘a list of chemicals known to the state to cause cancer or reproductive toxicity’. Nano-encapsulated titanium dioxide is a topic of much discussion in the SPF world, but what everyone pretty much agrees on is that inhaling it is probably not the best idea. And this is a spray. ‘Do not use on or near the eyes.’ It’s a spray. Recommended for the face. Make of all of that what you will, but I have never reviewed a product with so many contradictory claims and bad labeling. On the plus side, it’s making me nervous and I’m going back over previous reviews and checking all upcoming ones with a fine-tooth comb to make sure I’m being fair across the board. 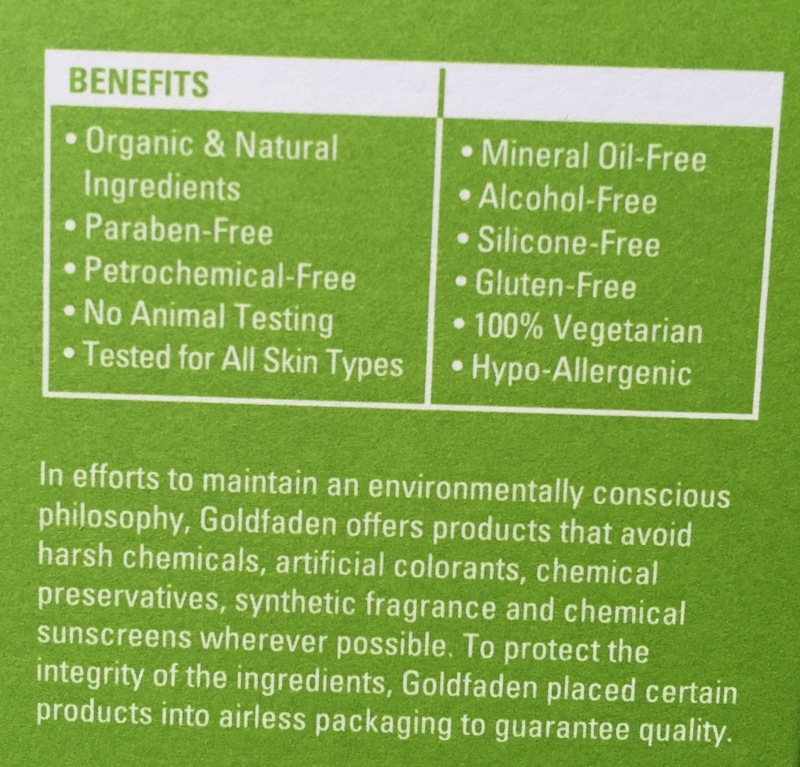 I’m so shocked by the outcome of this review that I even traipsed through as many UK vs US retail sites and reviews that list ingredients to give Goldfaden the benefit of the doubt – I thought perhaps they could have made a UK version of the product and maybe there had been a mix-up between US and UK boxes, but then realised if they had made an EU version, it would, you would hope, be EU compliant. But all to no avail. All the labelling/packaging/ingredients appear to be the same box available on both sides of the Atlantic. 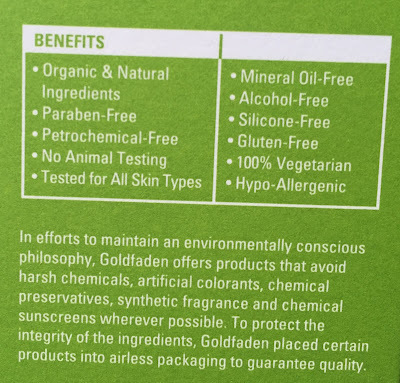 If Goldfaden MD can counteract any of this with facts/proof/reassurance I will happily publish. 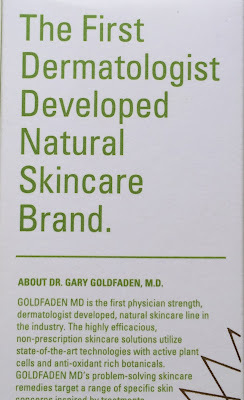 I know a lot of you have bought and used this product, and my hope is obviously, that you enjoyed it, it did its job and you suffered no adverse reactions. But if you did, maybe email the brand for clarification? Something or someone, somewhere, has gone wrong.